It’s no time to be a goat in Abu Dhabi over the Eid holidays. Goats were (quite literally) getting it in the neck left right and centre as the celebrations led to a serious reduction in the goat population. 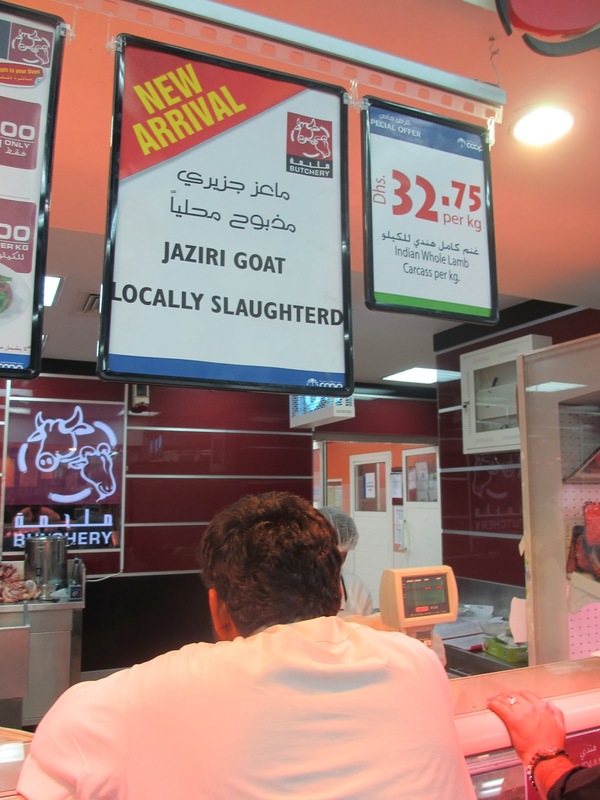 You could either buy your goat ready slaughtered, or take your goat to the automatic slaughtering house. The choice is yours. There was so much goat about to be consumed that the local paper Gulf News had a special feature on the dangers of eating too much red meat. Abu Dhabi was once a nation of fishermen and the fish market can still impress with great piles of every kind of unfortunate fish netted from the Arabian gulf and put on sale. 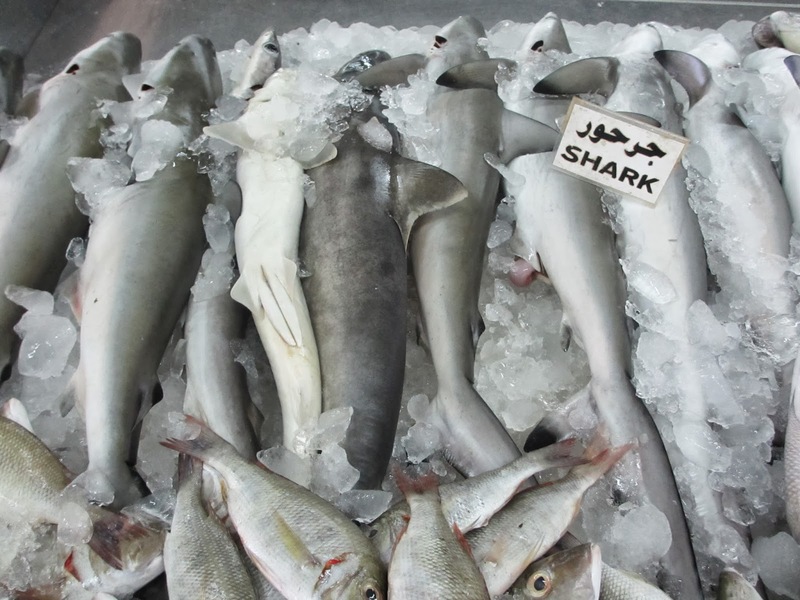 Many of them had Arabic names with things like the Parrot fish being called ‘Gain’ which is not such a good name as Parrot fish, but Shark remains Shark in any language. 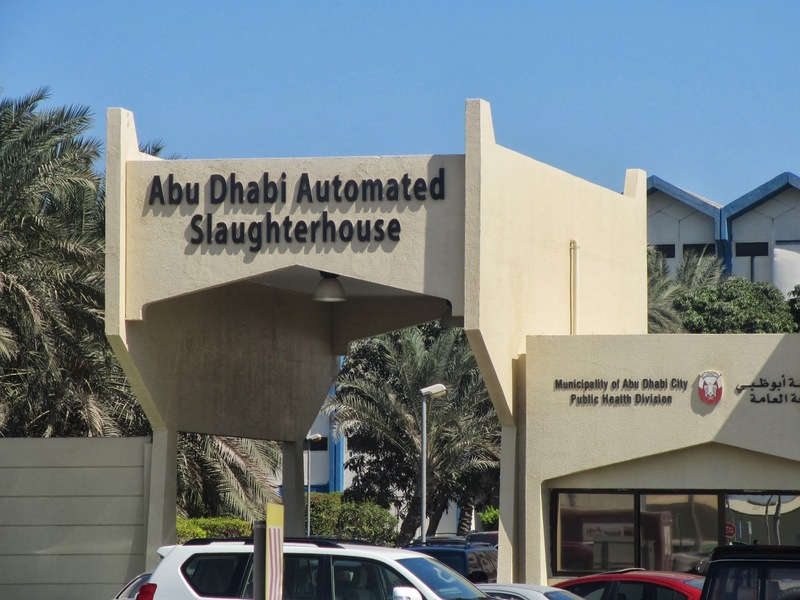 By contrast, Abu Dhabi is not known as a nation of carpet makers and their carpet souk was possibly the worst example of a carpet emporium I have seen since the Frank’s Factory Flooring chain started trading in the North East of England. There were some hideous synthetic Mickey Mouse carpets and a peach metallic shag pile which I found particularly upsetting. It’s true, there were a few Kelims and Persian rugs but not nearly as good a selection as we have at John Lewis. If you want gorgeous hand made carpets call in to Turkey or Morocco but do not waste your time in Abu Dhabi. 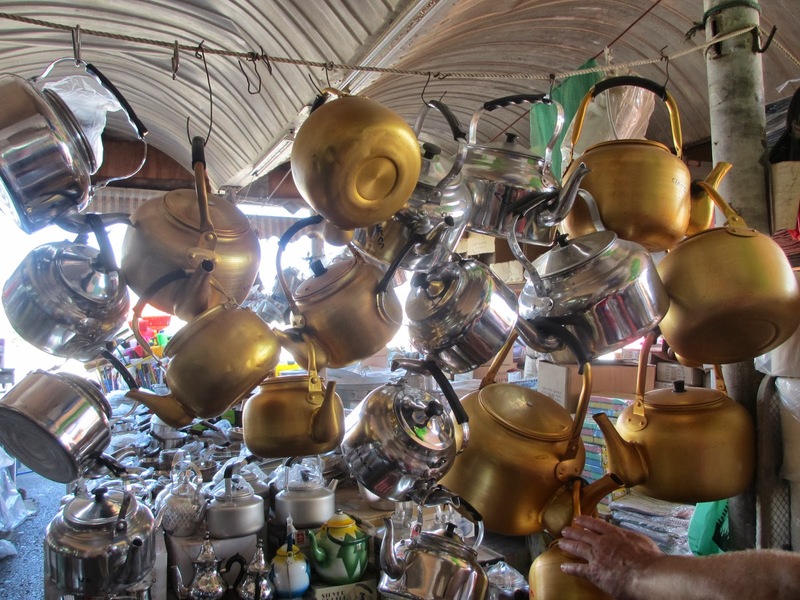 The Iranian market did a good line in kettles though. If I was in charge of a country with as much money as the rulers of Abu Dhabi have, I think I would have liked to create a beautiful Arabian city with public spaces and charming buildings. The Romans were adept building well planned cities wherever in the world they turned up, but this is not what has happened here. Yes, they have built themselves a massive swanky palace and a gigantic mosque but the city itself is a noisy dirty melee of ugly tall buildings, international hotels and desperate shopping Malls. There is no thought for the pedestrian, no construction of architectural merit, and no coherent urban vision. 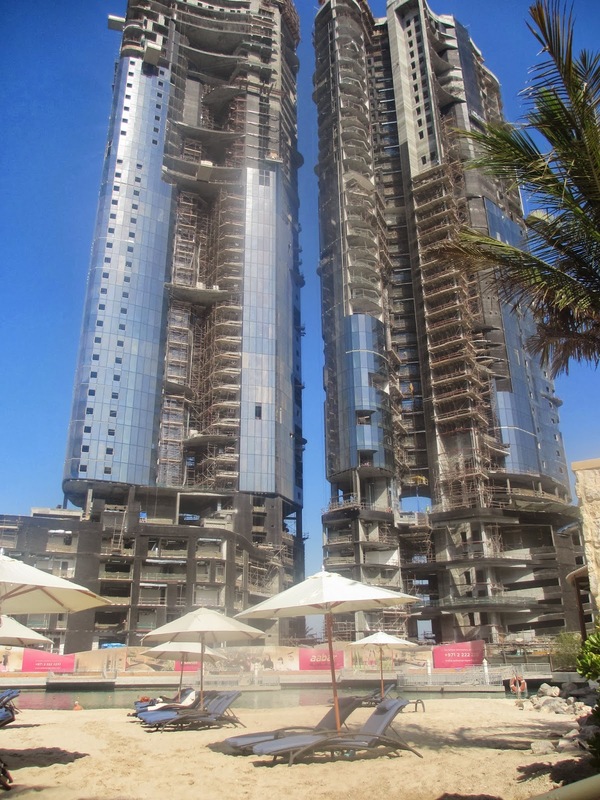 This is insensitive development and I couldn’t help feeling, such a missed opportunity as the setting beside the turquoise Arabian gulf with its white sand beaches is pretty spectacular. A hotel with a little man made beach is swamped by a giant new building site with another hotel which is being built directly in front of it and will overshadow it. Should women be allowed to visit graveyards? They can but not too much so that they stay in the state of sadness.. Is it permissible to remove an extra toe if a child is born with one? This is obviously a common concern here and the answer is? Yes, if you don’t break any bones or cause difficulties for the child. A no- brainer really. 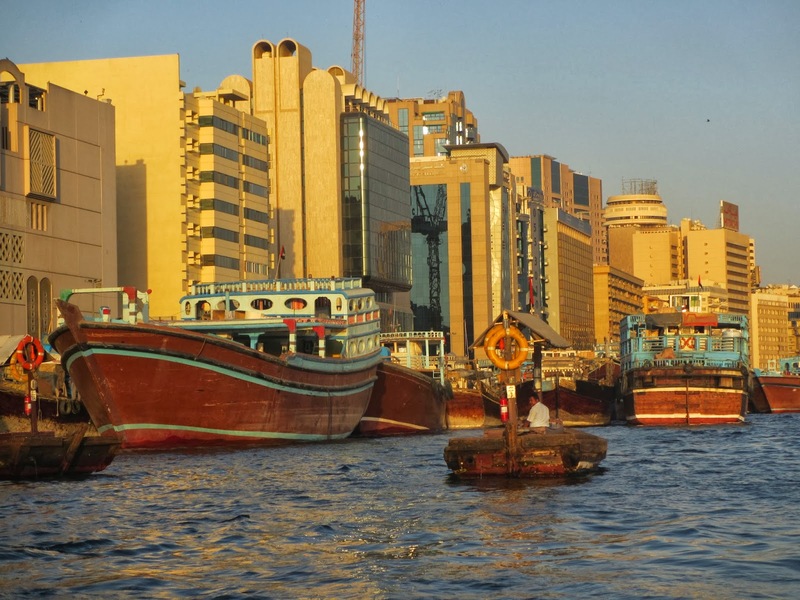 We returned by taxi to the relative civilisation of Dubai where the trip across the creek to the old souk (nothing is really old here by the way)on a little boat, still costs just 1 Dir ham (about 10p) and is the best value of anything in the whole UAE. 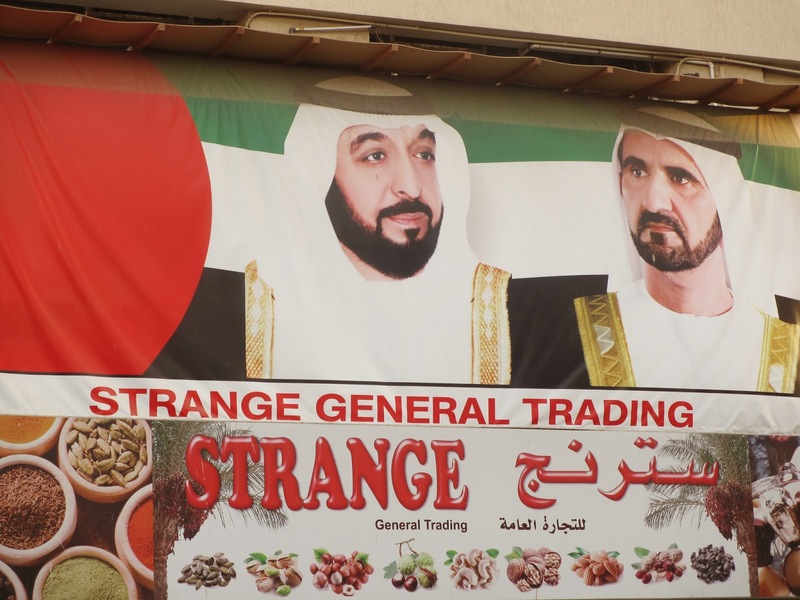 We bought some interesting items in a shop called ‘Strange Trading’ which actually sold all kinds of nuts, raisins, honey, dates and delicious produce which the region can readily supply. I am stranger than you! 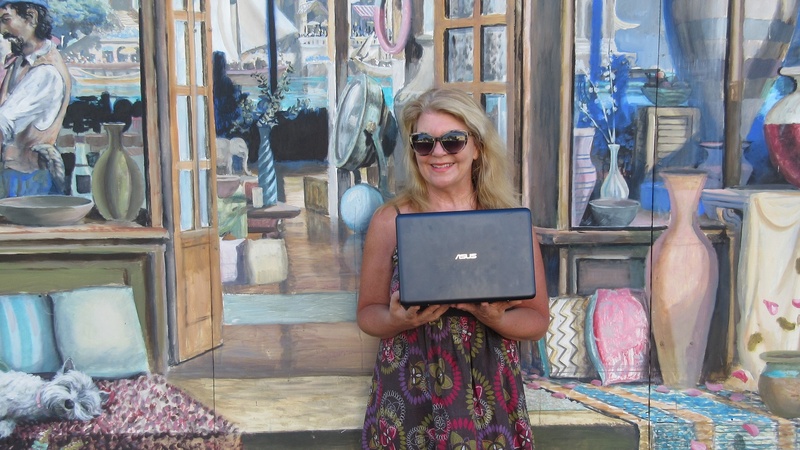 We then headed back to the dreary UK where Autumn is coming and windy wet weather took the place of the scorching Arabian sun..We didn’t buy anything in this shop though, too risky.